Supplied with a harmonica and a few slow warming acoustic guitars Jeff Tweedy rummaged through slimmed down versions of classic Wilco songs at the sold-out Rialto in Bozeman, Montana Monday night for a solo acoustic performance. This 90-minute performance could be described as Euphoria for any devoted Wilco fan, Tweedy explored songs from his boundless music career, slipping into the repertoire of Uncle Tupelo, as well as highlighting past collaborations with loose fur "laminated cat." Wilco classic preferences such as Jesus Etc -- “I Am Trying To Break Your Heart,” “Passenger Side,” “I’m The Man Who Loves You,” “Handshake Drugs” and “A Shot In The Arm” found their way to the setlist. 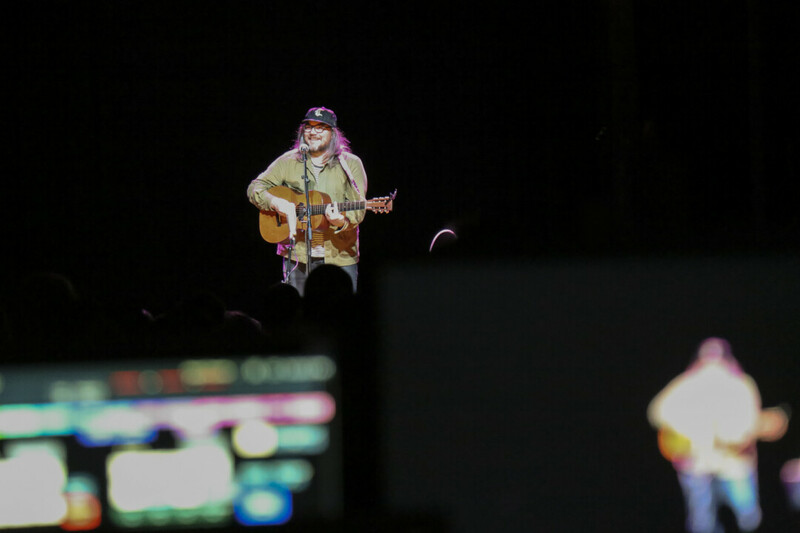 Jeff Tweedy solo acoustic performance allowed his music to freely flow into the minds of the listeners, sweet whispers. Tweedy said at one point in the evening “I’m pretty certain a lot of you are gonna leave not hearing the song you wanted to hear. But that’s OK, "I’ll be back." Thank you to the Bozeman crowd at the Rialto for being such respectful listeners, and not interfering in the band's conversation!